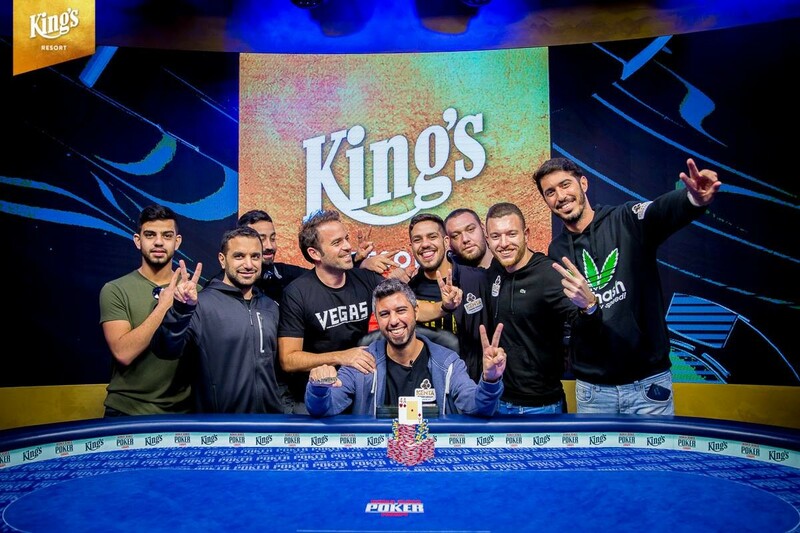 It's two for two for Israel at the 2018 World Series of Poker Europe! 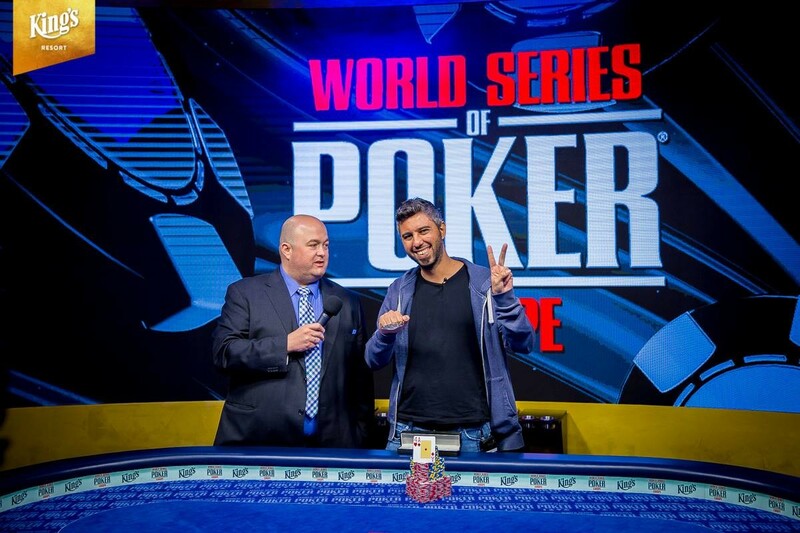 Asi Moshe did what Tamir Segal did yesterday: winning a WSOP gold bracelet. Moshe conquered a 221-player field in Event #2: €1,650 No-Limit Hold'em 6-Handed Deepstack to win €82,280. It was the Israeli's second career gold after winning his first WSOP bracelet four years ago. Delivering two bracelet winners in two days is a remarkable feat for the small middle-eastern country, one that's been making quite the waves in the tournament scene over the past few years. 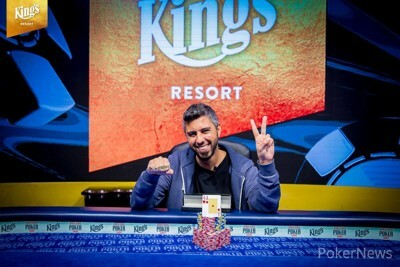 Moshe won Israel's twelfth bracelet overall and joins Rafi Amit as a two-time bracelet winner in his country. "The secret of Israel? I have no idea, but two for two is pretty sick. Sick is an overused word in poker but it is sick!" Moshe heartily laughed after his victory. Moshi started the day from pole position and didn't lose the chip lead at a single point. On his way to the bracelet, Moshe defeated Robert Schulz heads-up after a 90-minute heads-up battle. James Bullimore finished in third place, Giuliano Bendinelli finished fourth, Van Tiep Nguyen ended in fifth and Viktor Katzenberger finished sixth overall. Since winning his first bracelet four years ago, Moshe has proved he isn't a one-day fly, racking up over two million dollars in lifetime winnings over the course of a few years. However, until today, the second bracelet proved elusive for the man from Tel Aviv, who had two near-misses earlier. Today, that chase came to an end as he could finally attach the second piece of jewelry around his wrist. "I can't even describe how much this means to me," Moshe said. "There are a lot of bracelet winners, but the two-time bracelet winners club is much more exclusive. It's a validation. I've been waiting for this one quite a while," he said, smiling widely. Four years ago, the first thing Moshi said he'd do after his victory was buying something nice for his girlfriend. His then-girlfriend has since become his wife, and she's gifted him with a daughter as well. They were the first thing on his mind after his victory, and instead of grinding out a full schedule at the WSOPE, Moshe will be traveling home in a few days instead to meet up with them. "I want to see my wife, that I love very much, and my daughter," he smiled, and he will do so as part of an exclusive new club. Asi Moshe wins his second career bracelet, four years after his first. 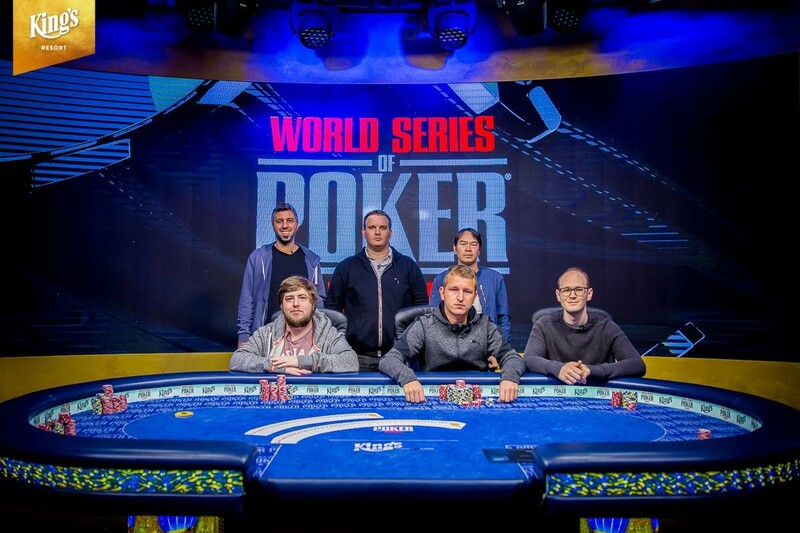 At 3 p.m., the six remaining finalists returned for the final table of the second bracelet event of the 2018 WSOPE. An hour in, the first big clash of the final table, between Moshe and Katzenberger, proved pivotal for Moshe's eventual win. Katzenberger had raised with eight-seven of clubs and had called a three-bet from Moshe in position. Moshe had pocket jacks but got outflopped on an eight-seven-six flop that contained two hearts. Moshe decided to check and Katzenberger shoved it in for two times the size of the pot. The Israeli proceeded to spend five minutes in the tank before calling it off. Katzenberger had the better hand on the flop but a jack on the turn gave Moshe the winner and he soared towards a big lead, which he never relinquished. It was a hand that was fully in Moshe's thoughts afterwards. "Probably, in a different stage of the tournament, I would call this faster. In this stage, I was very close to folding," Moshe admitted. "Maybe I made a pretty big mistake there; I realize this is final table, I realize people don't want to bust. Usually, when people shove two times the pot, it's like a draw." Moshe had the jack of hearts in his hand, which blocked some of Katzenberger's possible heart combo's. However, holding the jack of hearts in his hand wouldn't play that big of a role into making the eventual call. "If I had aces, it would be a lot more significant," Moshe explained. "If I have the ace of hearts, he doesn't have the nut flush draw, then it changes everything. With the jack, I block some flush draws, but on the other hand I can improve with the backdoor flush draw." "I tried to figure out his range: I didn't think he'd play a set like that. I was hoping to see a draw or an overpair like nines or tens. I saw something I didn't want to see but it worked out okay," he chuckled. With the dangerous cash gamer to his left gone and four times the stack of his nearest challenger James Bullimore, Moshe had the tournament in a stranglehold. 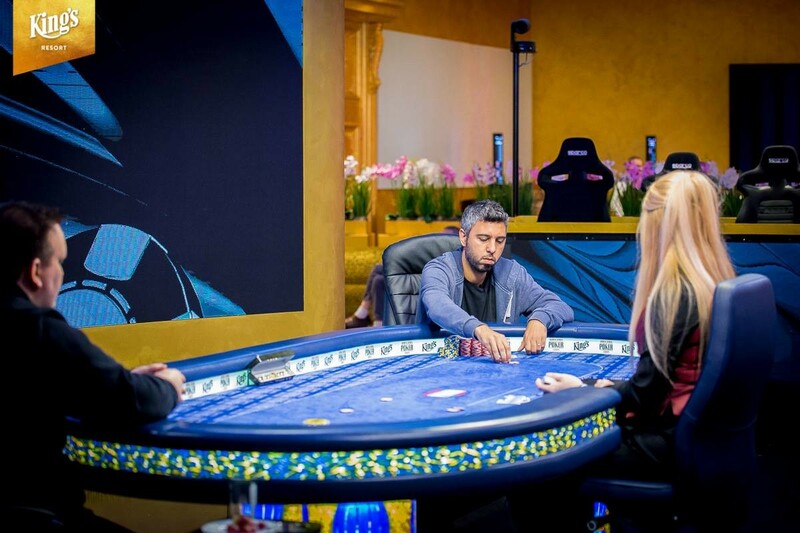 After Van Tiep Nguyen (5th - €15,303) and Giuliani Bendinelli (4th - €22,210) busted out in subsequent hands, it became a mêlée à trois with Bullimore and Robert Schulz. The two came close to Moshe's stack, and at some point, the three were locked almost dead even. Soon after, Moshe created distance for himself again when he flopped a set of treys against Schulz, who held flush and straight draws on the turns but missed on the river. Moshe then proceeded to take out Bullimore when he rivered a flush against Bullimore's turned straight. Bullimore faced an all-in shove on the river and ultimately called it off with the worst of it. Heads-up, Moshe started with a nearly 5:1 lead, and despite Schulz doubling back twice, Moshe wasn't afraid to miss another shot at a WSOP bracelet. "Was I afraid? Not really. Don't get me wrong, I don't want to sound cocky and it could happen, but my heads-up game is alright. I play a lot online; I know what I'm doing. I tried to adjust my strategy to the big blind ante, which changes a lot heads-up. I felt I could grind it out if needed." Grinding it out was what Moshe did, and after 90 minutes of heads-up, he decided it with ace-four. Moshe shoved on the button. Schulz called all in for twelve big blinds with king-eight but the better hand held up to gift Moshe with what he's been chasing for years: a second career WSOP bracelet. Asi Moshe shipped all in on the button with and Robert Schulz called off his stack of 600,000 chips with . 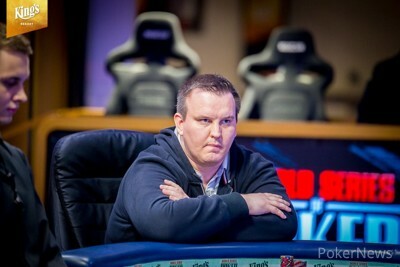 Schulz was at risk of being eliminated but held two live cards heading to the flop. The dealer fanned the flop of and Moshe remained in the lead with just ace-high. The on the turn paired the board and Schulz was down to just six outs. The river was the and Moshe held on to eliminate Schulz in second place. Robert Schulz shipped all in for 475,000 on the button with and Asi Moshe gave it some thought before making the call with . With the bracelet on the line, the cards were on their backs. The flop came and Schulz was still in the lead with queen-high. The on the turn and the on the river gave Schulz two pair as he score a double up. Asi Moshe raised to 125,000 on the button with and Robert Schulz called with . The flop came and Schulz check-called a bet of 90,000 from Moshe. The turn brought the and Schulz checked again. Moshe fired another 280,000 and Schulz stuck around to see the on the river. Schulz checked one more time and Moshe jammed all in, putting Schulz to the test for his last 475,000 chips. He thought for nearly three minutes before finally letting his hand go, falling below the 10 big blind mark. Robert Schulz limped on the button with and Asi Moshe checked his option with . The flop of hit both players and Schulz fired out with a bet of 75,000. Moshe check-raised to 255,000 with top pair but Schulz wasn't going anywhere with a straight as he made the call. The landed on the turn and Moshe checked again. Schulz slid in a bet of 270,000 and Moshe quickly called. The on the river gave Moshe a full house and he checked again. Schulz gave it some thought but frustratingly knuckled the table as well. Robert Schulz limped in with on the button and Asi Moshe raised to 155,000 with in the big blind. Schulz just called and the flop came . Moshe led out for 115,000 and Schulz continued to slow play by just calling. The turn brought the and Moshe fired another 195,000. Schulz made the call and the double-paired the board on the river. Moshe shipped all in and Schulz snap-called his last 455,000 chips to double up. Asi Moshe raised to 100,000 on the button with and Robert Schulz defended from the big blind with . The flop fell and Schulz check-called a bet of 50,000 from Moshe. The turn brought the and Schulz checked again. Moshe fired another 100,000 but Schulz continued to call. The river was the and Schulz checked for the third time. Moshe tossed in a bet of 150,000 and Schulz finally gave up the best hand. Robert Schulz limped in on the button with and Asi Moshe checked his option with . The flop fell and Moshe checked his straight draw. Schulz fired 50,000 with a pair of sevens and Moshe called. The landed on the turn and Moshe checked again. Schulz fired in a bet of 175,000 but Moshe stuck around to see the on the river. Moshe continued to check after making the bottom end of a straight and Schulz checked back. Moshe tabled his cards and Schulz sent his cards to the muck. Who Will Claim Victory in Event #2: €1,650 No-Limit Hold'em 6-Handed Deepstack?